Who can apply for awards? Current Members of Audax Australia are eligible for all awards. In this context, a “Member” does not include a temporary Member. It is not necessary for the rider to have been a Member at the time each ride was undertaken as long as they became a Member before the end of the season. However, a rider must be a Member for all the seasons covered by a Consecutive Month or Multi-Season Award to be eligible for that award. Which rides can be counted? All awards are for road rides, unless otherwise stated. Both Calendar and Permanent rides may be used for awards, unless otherwise stated. All Les Randonneurs Mondiaux (LRM), Brevet Randonneur Mondiaux (BRM), Brevet Union des Audax Francais (Brevet UAF), Brevet Australia (BA), Brevet Gravel (BG) and their Permanent equivalent (BP/BPG) events, subject to the relevant ride, distance or award requirements, can be counted towards road riding awards. The Fleche Opperman All Day Trial can also be counted towards the Woodrup 5000.
once in a multi-season cumulative distance award, e.g. part of an Australian Randonneur 25,000. In addition to the preceding paragraph, rides used for Super Randonneur and Woodrup 5000 awards may also be used for the Ultra Randonneur Award. The Australian Randonneur Awards are cumulative. Recipients of one level of the award must accumulate an additional 25,000 km of homologated rides to claim the next level. There is no starting date for rides which count towards the Australian Randonneur Award and Ultra Randonneur Award. If evidence is not available from Audax Australia records, riders must provide appropriate evidence such as copies of homologated brevets. The Awards Secretary retains discretion to accept or reject the evidence proffered. Exceptions are summarised in Clause 12 below and set out in the Award descriptions, rides must be completed in Australia. In this context, for rides completed before 1 November 2011, Australia includes New Zealand. Unless indicated in the description of the award, a longer ride may not be substituted for a shorter one. The actual distance of a completed ride counts towards any single or multi-season cumulative distance award, whereas the nominal distance of a completed ride counts towards any single or multi-season defined ride distance award. A 500 km Fleche Opperman All Day Trial has the value of 500 km for a cumulative distance award, but counts as a 360 km nominal distance for a defined ride distance award (including the multi season Woodrup 5000). There is no minimum distance ride for cumulative distance awards (single or multi-season). However, it must be a distance defined by Audax Australia – the shortest ride available is a 35 km Brevet Dirt ride. Which rides cannot be counted? An event ridden in Australia cannot be used to claim a seasonal or cumulative overseas or international award as well as an Audax Australia Riding Award. 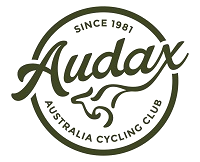 An event ridden overseas and for which a seasonal or cumulative overseas or international award has been or will be claimed cannot be used to claim an Audax Australia Riding Award. This does not include recognition for completing an individual ride, for example – a rider may receive a medallion for completing an international LRM 1,200 event and still claim that ride as part of an Audax Australia Riding Award provided it is not also used to claim a seasonal or cumulative overseas or international award. Audax Australia Super Randonneur Award and Audax Club Parisien Super Randonneur award have the same riding requirements. However, a Member must not use the same rides to claim both awards. Except for the 1,200 km brevet, the Woodrup 5000 and the ACP Randonneur 5000 awards have the same riding requirements. However, a Member must not use the same series of shorter rides to claim both awards. Brevet Raid events do not count toward any awards.